Horseflies (Tabanids) are a constant nuisance, particularly during the period May – October in the northern hemisphere. Since they feed on blood, their aggressive stings are very painful not only for animals, such as horses and cows, but also for humans. 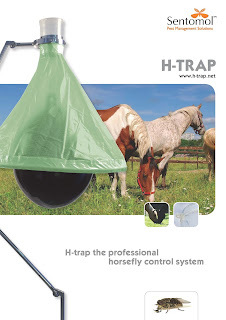 The H-trap system effectively controls horse fly numbers, reducing them to an absolute minimum. The H-trap is designed to be placed outdoors, where it works without the need for chemicals or electricity. 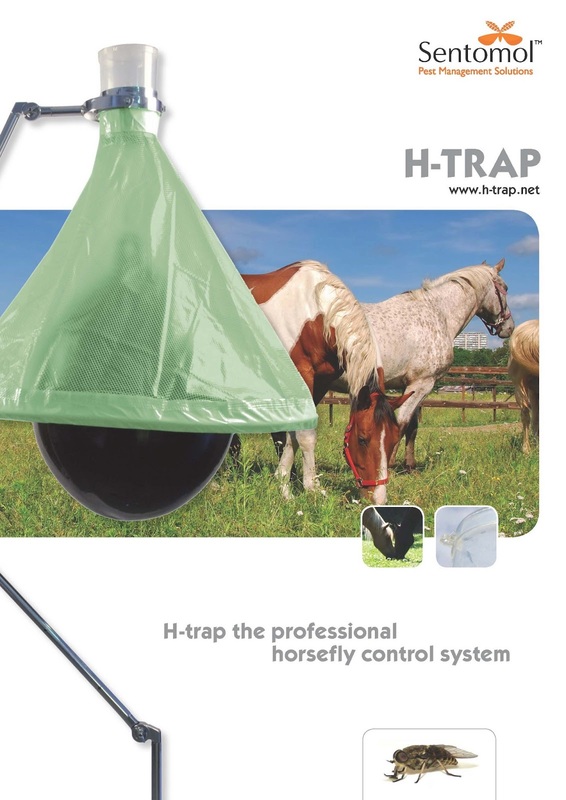 Extensive independent trials have shown a reduction of 90-95% in horse fly numbers in areas protected by the H-trap. animal, such as a horse. They are attracted to the ball since it emits heat, exactly like the body of the horse and it moves in the breeze. Once they land on the black ball, they will investigate it and try to sting it. Since they will be unsuccessful in gaining their desired blood feed, they will follow their natural behaviour and fly away. 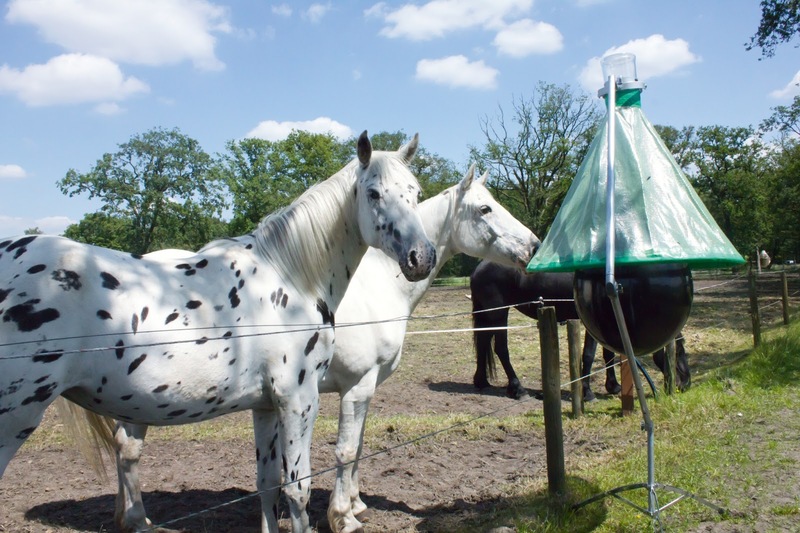 As horse flies naturally fly upwards, they get caught in the hood system, where they are guided into a centrally placed collection pot. As this is filled with water, they die in the trap. More information is available at www.horseflytrap.co.uk or watch the video on how the H-Trap works or a video of a typical days catch in South Wales in June (see above image). The H-Trap is available to order from Sentomol and is generally available from stock although this may vary with seasonal demand. VAT is charged at 20% and is included within our prices for all sales within the UK. All prices include shipping and VAT and any purchases within Herefordshire or Monmouthshire will include free installation. Payment can be made by cheque payable to Sentomol Limited or by BACS transfer. Our banking details can be provided on request. Sentomol Limited, Glen House, St Maughans Green, Monmouth, NP25 5QG, South Wales, UK. 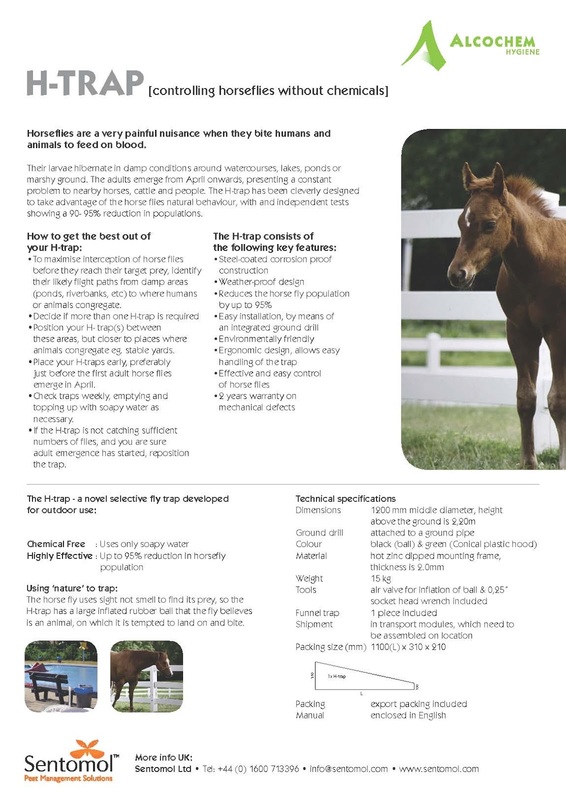 The leaflet for the trap can be downloaded here.